For this week’s writing prompt take a look at the picture below. It is an empty classroom from the past. 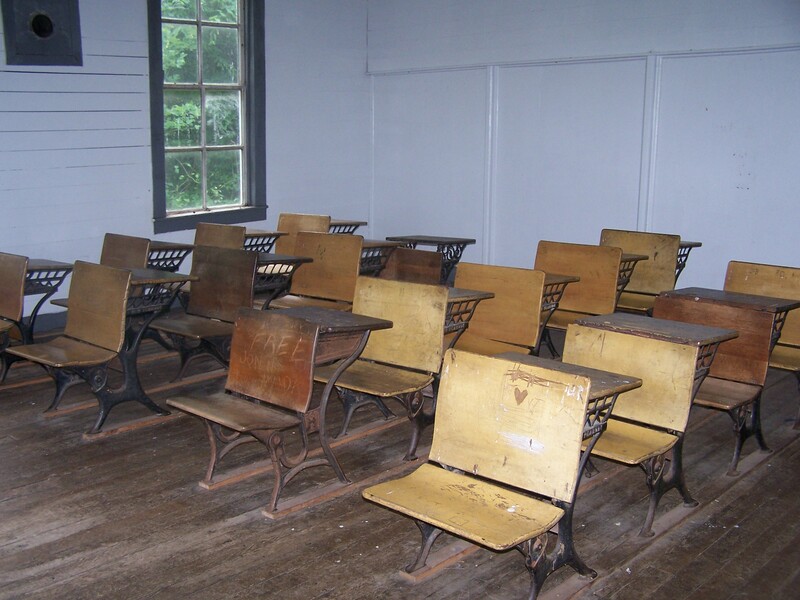 Imagine you are the teacher in this one room schoolhouse and you have just released your students for the summer. Fill in these details. 2. What major current event has happened during this year? 3. What is your name,gender, costume, age, marital status? 4. Relate an experience about a student during the year. Are you relieved the student has left for the summer? Are you worried about what the student will encounter over the next three months? 5. Write down everything you can smell. Think about the props in the room-books, wooden desks, dust, etc. 6. Are you coming back next year? Why or why not?